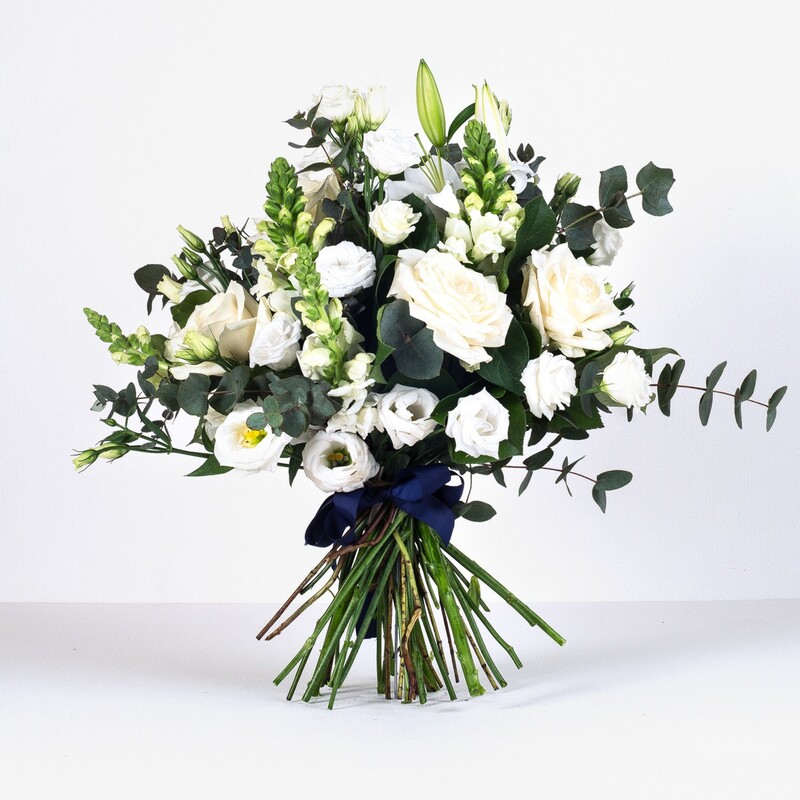 For a display that speaks of timeless elegance and pristine luxury, look no further than this striking bouquet that combines cream roses and white lisianthus to fabulous effect. This wonderfully intricate arrangement is rich in detail, and the eye will be drawn to the delicate charm of each individual flower, while the overall impression makes for magnificent impact and will captivate admirers. This alluring combination of classic Avalanche roses, white lisianthus, thistle, antirrhinumn and a variety of complementing foliage creates a bouquet that is sure to turn heads with its pristine beauty. It is the perfect gift, and will add style to any occasion.